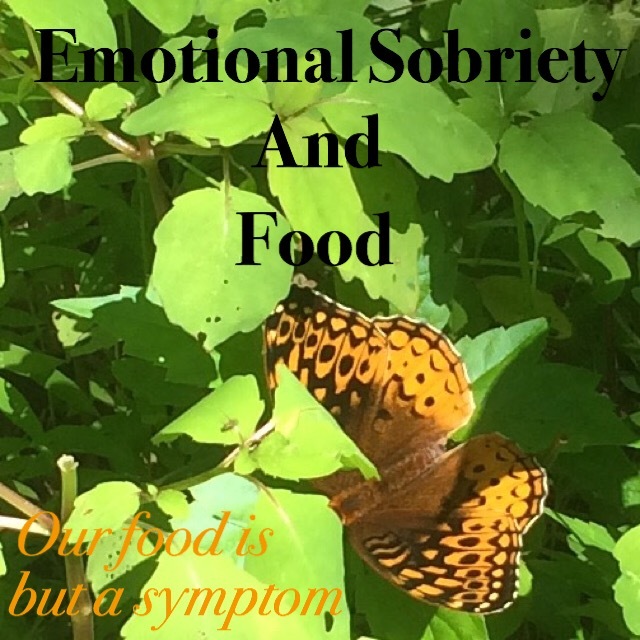 Emotional Sobriety And Food – "… to be able to Twelfth Step ourselves and others into emotional sobriety" — living, loving & letting go. Are you looking to live a life of sane and happy usefulness? Sundays: 5:30 – 6:30 AM EST. Our phone line also has international telephone numbers and screen sharing capacity. Please note: WE ARE NOT ENDORSED BY OR AFFILIATED WITH ANY 12-STEP PROGRAM. HI Shira! Do you have info on the Jewish Women in Recovery meetings? without reaching for food for the answer. Thank you for any help or suggestions you have for me. Edith, what a great question! I want to refer you to this wonderful site: https://foodaddiction.com/types-of-eaters/. The writer discusses the differences between food addiction and emotional eating. They are connected, but not the same thing. Program is based on the idea that I have an abnormal reaction to certain foods. As long as I abstain from eating foods that trigger a craving, then I can keep the mental obsession in abeyance, and maintain abstinence. Follow my food plan, take the steps and take others through the steps, and live in steps 10, 11, and 12. Living in Steps 10, 11 and 12 means: daily inventory, prayer and meditation to improve my conscious contact with the God of my understanding and being of service to others. Really, program is very simple. I personally find that it is very important to use all the tools: meetings, sponsorship, reading, writing, phone calls, etc.. It is very grounding and centering. Emotional Sobriety is the gift that comes from living in the last 3 steps. However, learning how to work through emotions, without escaping into food or other self-numbing behaviors may be beyond the scope of program. I hate to say it, but, sometimes, program is not enough. That could be why it has been so difficult for you to maintain your abstinence. Thank you so much for your comment! I really had to think about it. Hi there. I am just coming back after relapse and stumbled on your site a couple of months back ~ I want to get back , knee deep in the solution and back to my relationship with God. I noticed that your meeting was for people who have worked through the steps ~ which i have historically done ,but am currently only 3 days abstinent. I am anxious to get my path clear again through inventory, amends and God… Just making sure that its ok to join your group and that it still is going on Sunday mornings ? Thanks so much. I am so happy that you found us! Yes, we are still meeting on Sunday mornings and we would love to have you join us. Welcome! This is Stacey, I was the one on the line this morning. thanks so much for being out there ! I look forward to joining you next week as well. I love what i have discovered here, what a wealth of information. Thanks again. Program is meant to be simple and accessible to all. It is very exciting that you were able to find us! thank you for the amazing 5 one hour meeting doing all 12 steps. I did pray as you suggested, for a knowledgeable partner, and it was an excellent partnership. Because of doing the 12 steps,, I rejoined OA with a really good sponsor. I was off the wagon, but we learn, its progress, not perfection! Is it possible to post all the participants, so we can call each other for outreach calls? I really am indebted to you as a sholeach, and a new kesher to Hashem! It will take a bit of work to assemble a contact list, but, let’s see what we can do. I am so happy that you enjoyed the workshop! I did too. I miss it now that it’s over. I am looking forward to the next one! Thank you so much for posting all your recordings, I am finding them so helpful. I am in Arizona and cannot listen live. Your sharing is so amazing, I am learning so much. Thank you, Thank you! Thank YOU for listening! I am so happy that listening to the recordings is helpful. The purpose of the blog is to be of service and to help carry the message. We are so grateful that you are joining us! Welcome! I am new to this group. I live on the west coast and do not wake up early enough to attend in person, however I have been listening to recordings. Wish I could attend in person! Welcome! We are so happy that you are joining us! Bs”d really appreciate all your hard work to create this lovely, helpful site! FYI-I started a “Secret” oa group on Facebook if people want to join-must be recognized/approved by moderators. Is anonymous &/but if your account has your real surname, obviously that will be seen. Great to have resources & caring support of us all! Thank you. That is one of the purposes of the blog. I wanted to have a central location to demystify the process of working the steps. This is a simple program that has become so complicated for so many people. Shira, this is great! Great work!!! I like the picture you chose. The information is so helpful. THANK YOU.